Los Gatos, California, was the home of a Ferrari dealership. As a kid, that’s all I knew about that little town. I grew up in Palo Alto, just 45 minutes north. And the thought of a Ferrari made me shiver with excitement. Seeing or hearing one would stop me from whatever I was doing to watch the magnificent machine pass. If you are a Ferrari enthusiast, maybe you can relate. 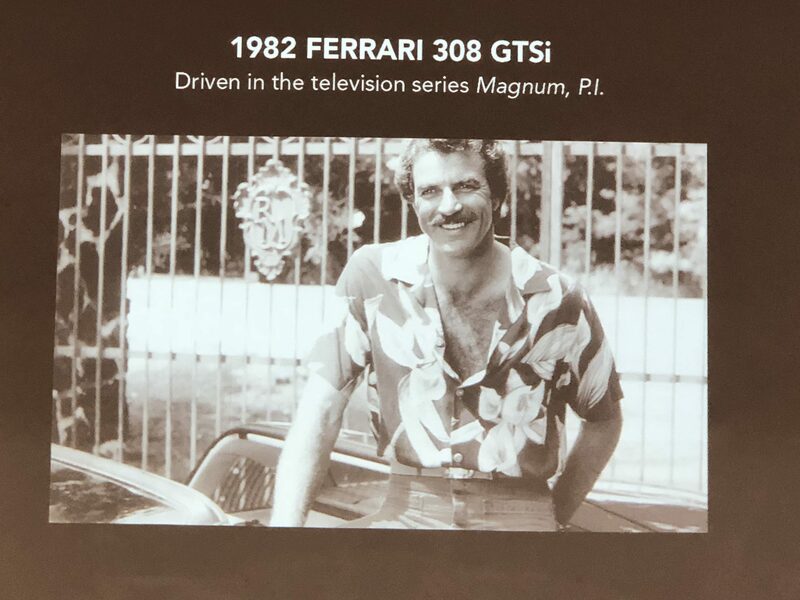 I got hooked on watching Magnum, P.I. at 7:30 PM Thursday nights. 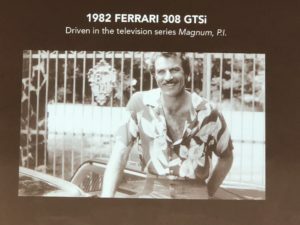 Watching Tom Selleck drive around the north shore of Oahu, Hawaii in a red 308 GTSi kept me glued to the TV. That car impressed me so much I hung a framed poster of it on the wall in front of my desk at work. For years, every time I looked up I saw dual round taillights on either side of the prancing horse – Ferrari’s famous logo. I told my kids, “Someday, dad will have a Ferrari like that.” I held on to that dream for a long time. “I know about a ‘82 308 GTSi, red on tan, with just 12,000 miles. And it’s had only one owner,” he said. “I’ll take it,” I replied. I bought the car, have it today and don’t plan on getting rid of it anytime soon. It’s brought a lot of joy and pleasure to me and friends or relatives that have driven it. How difficult could it be, I thought? I’d spent years in the business world writing reports, agreements and contracts. I had met a guy with incredible stories about the car I loved. There must be a reason for that chance encounter, I reasoned. I must be destined to write a book based on his stories. This blog is a prelude to the book I’m writing about Ferrari of Los Gatos. The book shares behind the scene stories of Brian Burnett, his partner, Richard Rivoir, and the Ferrari dealership they founded in 1976. It’s about the twenty-year ride from the day they opened the doors and how the dealership became best known in North America, topping all others in sales. Many car enthusiasts visited that magical, mystical corner of East Main Street and Pageant Way in Los Gatos where the story takes place. Maybe you were one of them? If you enjoy entertaining and fascinating stories or just love cars, especially Ferraris, you will find the blog posts here just what you want. I plan to post weekly, usually on Monday. Each story will be a condensed version of what later will appear in the book. Sometimes I’ll re-print other classic car stories or post information of interest to car enthusiasts. The ride begins in the next post. Please join me. I remember when it was the Volvo dealership. In 1965 my dad purchased the first Volvo station wagon they sold. They had just rolled onto the sales floor. We subsequently purchased 2 more before it changed over to Ferrari. My brother was on the first soccer team that Ferrari sponsored. The dealership purchased their warmup suits and shoes. My brother and his team were the coolest kids at Leland HS in Almaden with Adidas (big deal high end for the time) jackets that said “Ferrari of Los Gatos” across their backs. Thanks for sharing that memory Susan. It’s nice to hear that Leland High’s soccer team had some cool Adidas jackets that said Ferrari of Los Gatos on them. I wonder if any of those grown up kids still have one? Over the years, the corner of East Main Street and Pageant Way was the location of a few Los Gatos car dealerships. The Spotswood Plymouth Dodge dealership was there in the 1920s, then Ken Keegan Datsun (Nissan), Volvo, Triumph, and BMW. 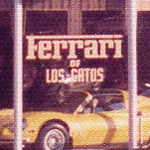 Ferrari of Los Gatos opened in 1976 and remained at that location for 20 years. Funny, I grew up in Palo Alto too. I never bought a car from Ferrari of Los Gatos, but I visited the dealership many times. Bought my 1984 308 GTS in Los Angeles for $70,000 in 1990. This was pretty much at the top of the market. I still have that car, and drove it to work today. It has over 225,000 miles on it. That 308 was my track car for 7 years and is now in my daily driver rotation with a couple newer Ferraris. Even with over 200,000 miles the Ferrari still does very well at car shows. It’s received many awards over the years, including the 2016 SCCA Concours Championship. Along with my other two Ferraris, I’ve put over 500,000 miles on them. 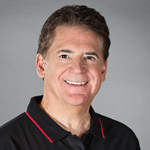 Hi, I’m Steven Kessler of Steven Kessler Motor Cars, Inc. I was the New York City authorized Ferrari, Maserati, and Alfa Romeo dealer located in midtown Manhattan from 1976 to 1997. This was the same time period Ferrari of Los Gatos was in business and Brian and I became extremely good friends. We were the new outlaws in the biz and wheeled and dealed all day long. I was the market maker on the East Coast and Brian on the West Coast. We usually spoke daily, sometimes several times a day, always picking each other’s brain as to what a particular car was worth. We were pioneers in what was becoming the new age of exotic cars. We were the buyers and sellers that established the prices these handmade tools of expression, speed, and racing history commanded. And we always held a torch out to our king Enzo Ferrari. Being invited to the factory in Italy to those dealer meetings when Enzo and his team asked us our opinion about changes to existing car models or our ideas about new models, was incredible. Italians always have plenty of food and drink, yes drinks were plentiful. We dreamed life would continue as it was then. Brian was a big self-welled guy who knew we were on the cutting edge of something, and he brought a fresh spirit to the exotic car business. Nothing could hold us back except for maybe our own overindulgence. Our confidence was as tall as the buildings surrounding the Manhattan skyline…It was almost like a fixed game. We were a team within a team and only allowed other players as we saw fit. We ruled without competition and other Ferrari dealers came to us for their trade-in values. Brain got the trades on the West Coast, John, from Continental Motors got the Midwest, and I in the Northeast, although they sometimes went to Eddie Haskell, the wholesaler in the Bronx. I’m still living the dream, now down in Miami in a quiet warehouse setting where I don’t hear the New York city sounds of taxis, police sirens, horns screaming chasing ambulances and the sounds of New York people. 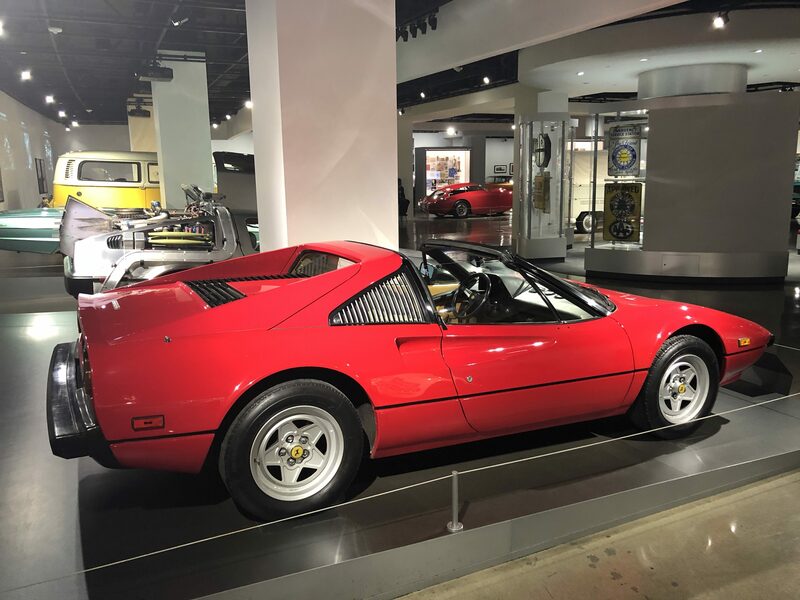 I was young 25 and had bought a ’71 DeTomaso Pantera (insurance money from car accident) that needed headlight motor work so took to Ferrari of Los Gatos. I went to pick it up with my Dad and they had a red 1966 427 Cobra street car (no side pipes, roll bar or hood scoop) with low miles for $70K in the show room. I begged him to buy it as an investment and he could have easily afforded it but just gave me that not a snow ball chance in hell laugh. Well this was 1985 and I went to work at Spectrum Classic Car auctions selling cars and I would send him the auction results from all the auctions and 427 Cobra’s prices doubled in the following 2 years then more doubled again in the next 3-5 or so years! I never let him forget and anytime I saw one sell I’d say “I Told You So”!! !